A few days back the 10th anniversary of Domaining Europe ended. Founder Dietmar Stefitz handed over the reins to NamesCon. The host city for NamesCon Europe 2019 will be Lisbon, Portugal. The conference will be held in June 2019. Venue and exact dates are still to be announced, but early-bird tickets have opened up to the attendees who joined NamesCon Europe in Valencia, Spain for the June 2018 event. Pre-sale tickets cost $299 and sale ends on September 1st. Your tickets gains you access to all sessions, social events and includes breakfast and lunch. Only 50 pre-sale tickets are available. Tickets may be refunded up to 30 days prior to published event start date. There have been stories that UK companies are moving to Portugal, Lisbon because their employees can enjoy a higher quality of life there with the same salary because rent prices and overall living expenses are substantially lower than in London. 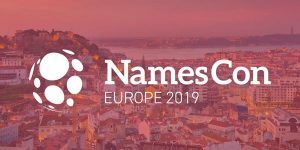 Lisbon has been advertised as the next go-to place for IT companies, so having Namescon 2019 there does not come as a big surprise.